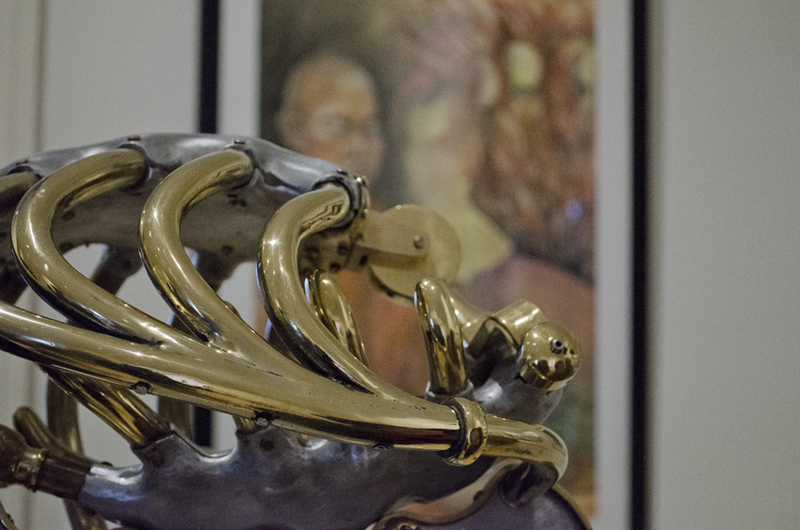 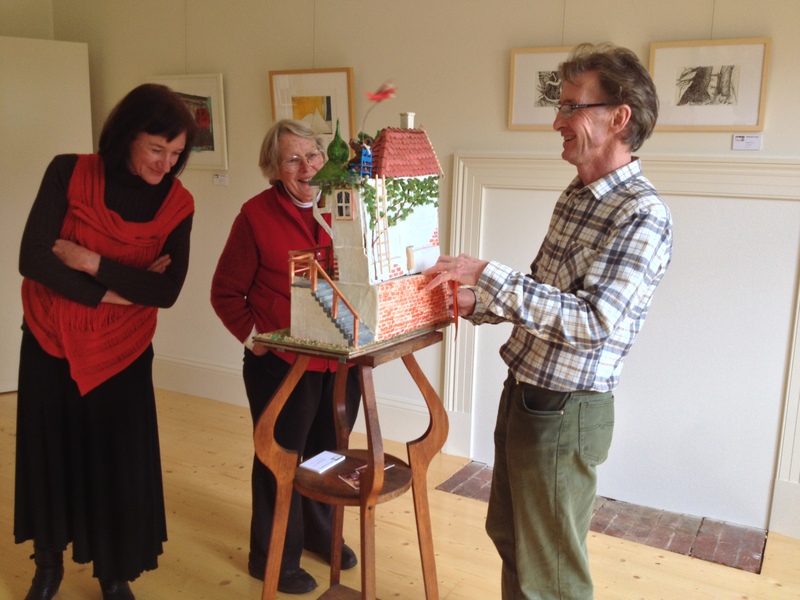 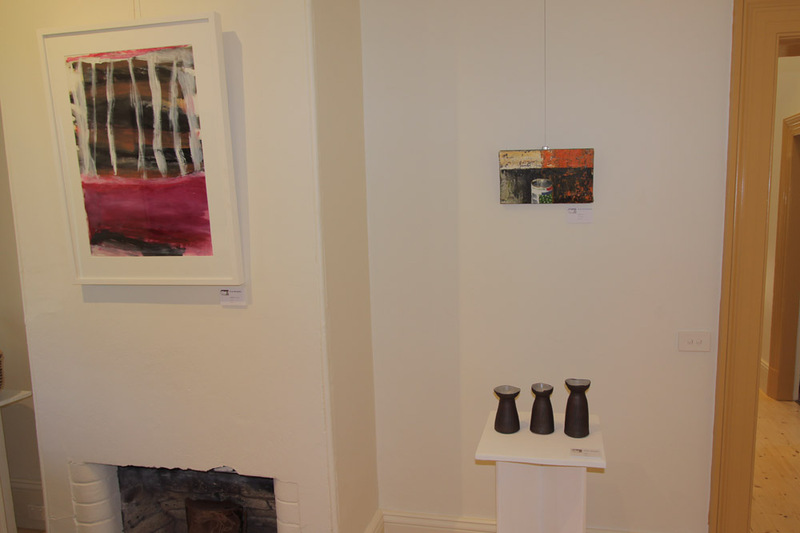 Trefor Prest’s sculpture ‘The Chosen One’, with (L-R), works by Maritsa Gronda, Knowles Gray & Julie Patey. 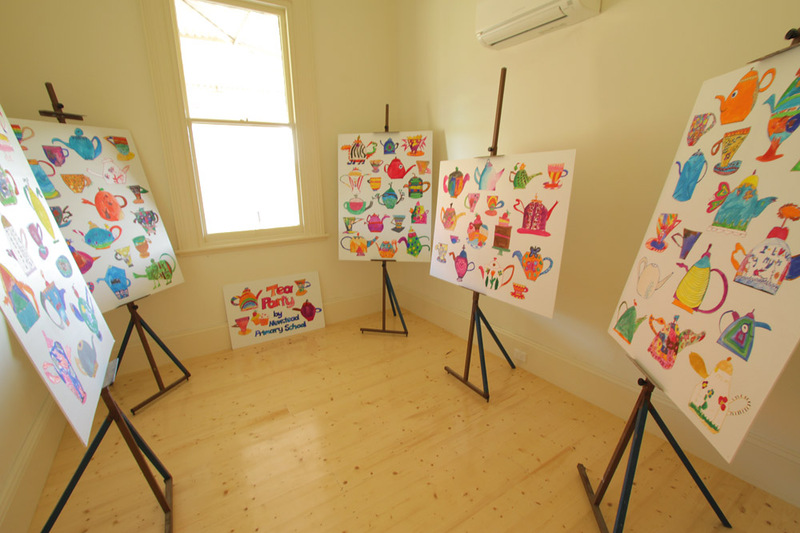 ‘Tea Party’, by students from Newstead Primary School. 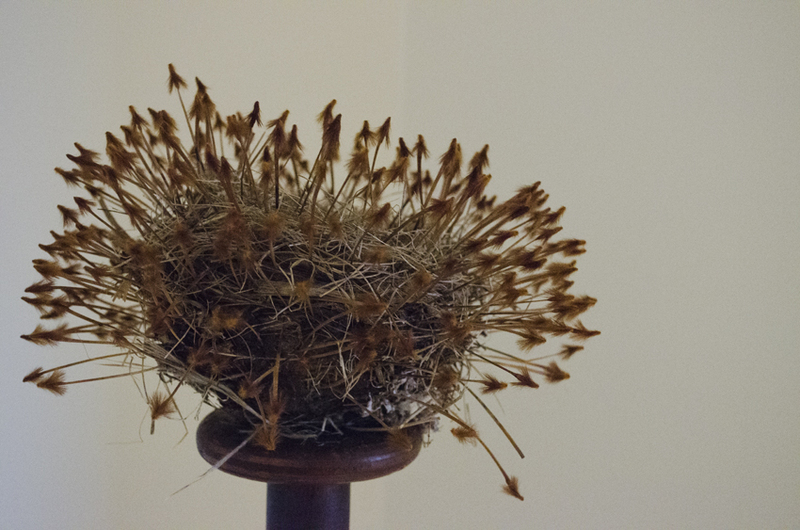 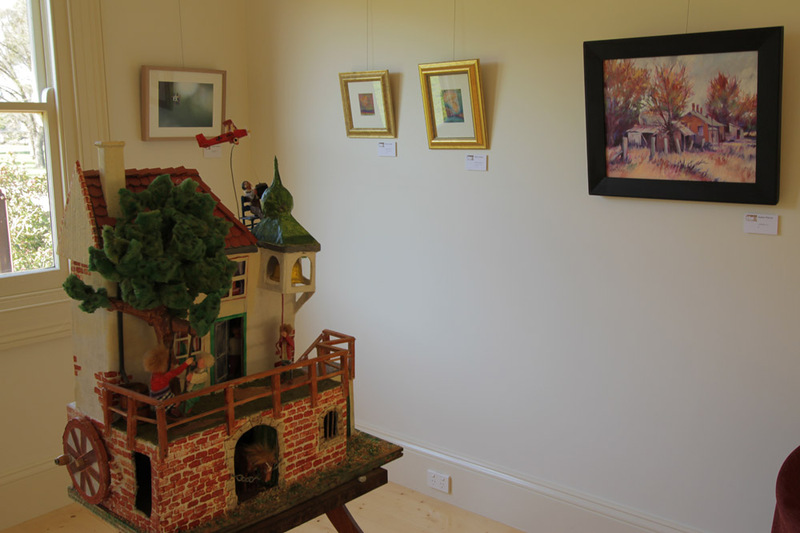 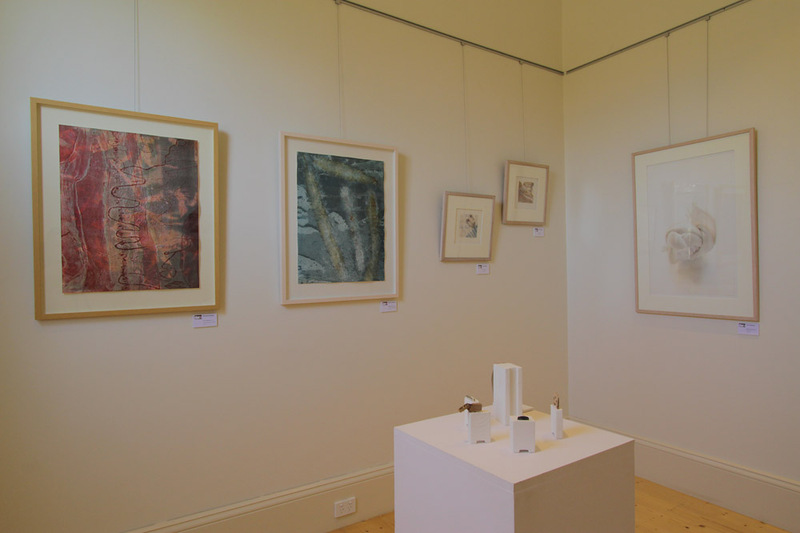 Prue McAdam’s ‘Tribute to T.T.’, with the second group of Chris Johnston’s ceramic works, and a small painting by Bob Clutterbuck. 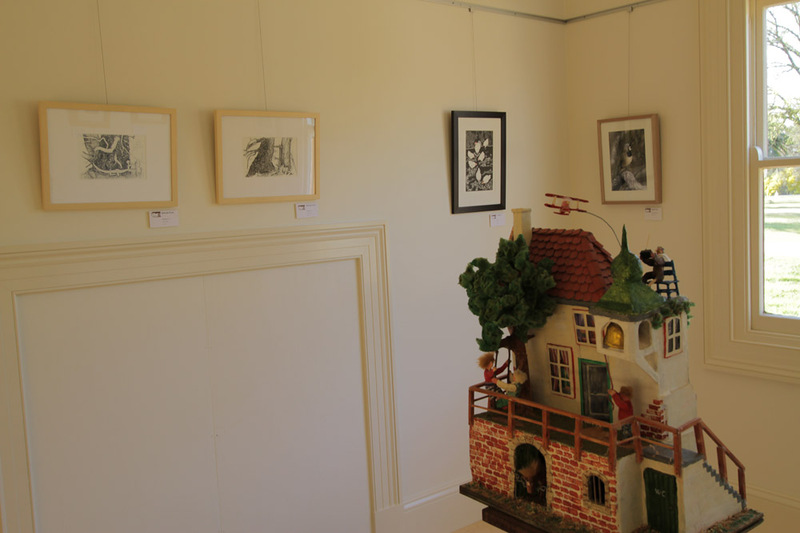 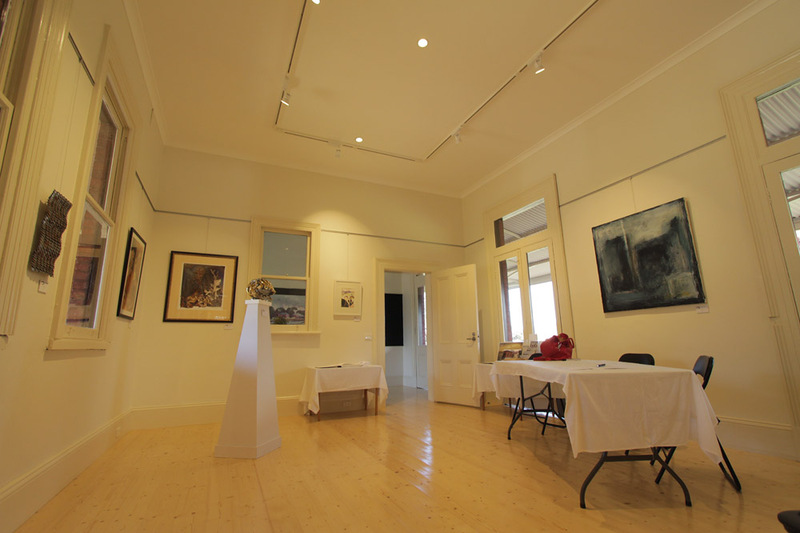 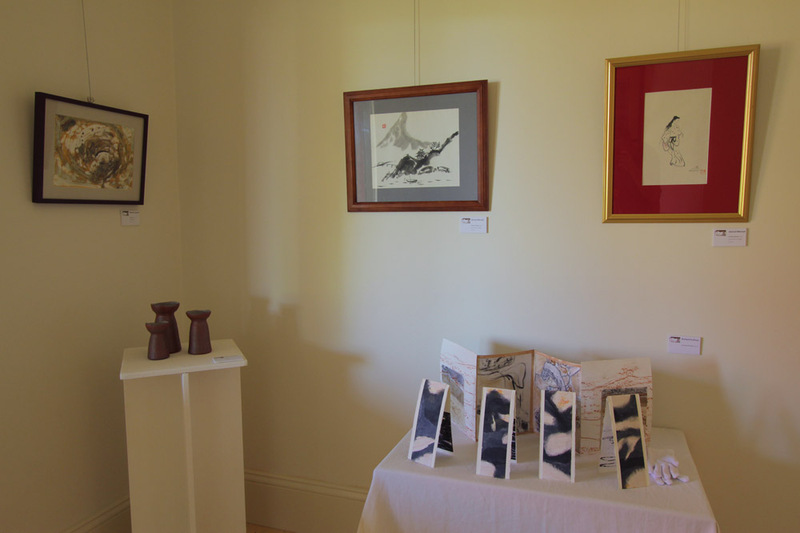 Hanging L-R; Belinda Prest’s drawings ‘Plough Tree’, Jo Ralston’s linocut ‘Henhouse’ and Geoff Park’s photograph ‘Crested Bellbird’. 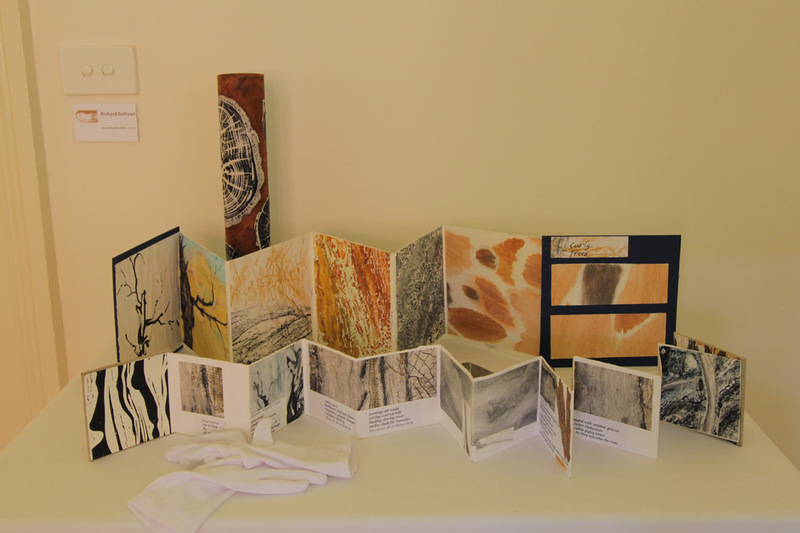 Richard Sullivan’s table of art books. 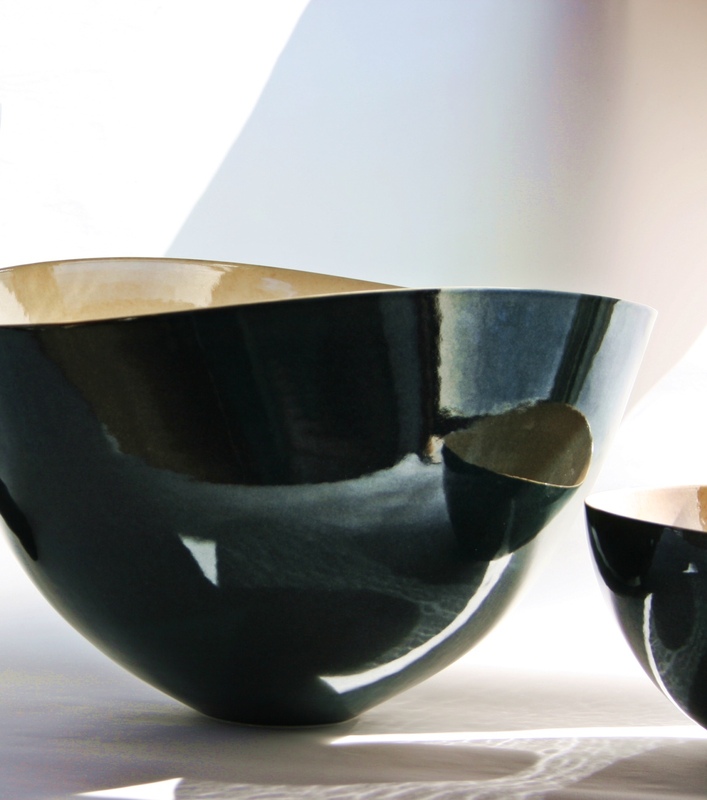 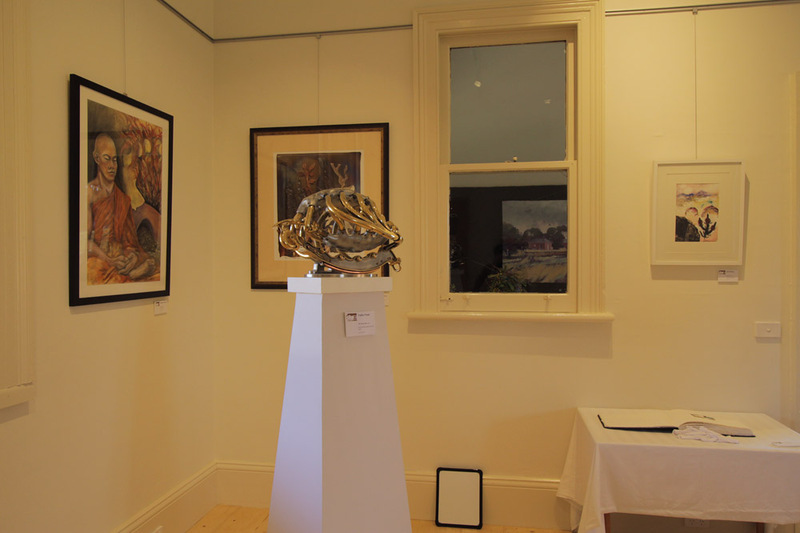 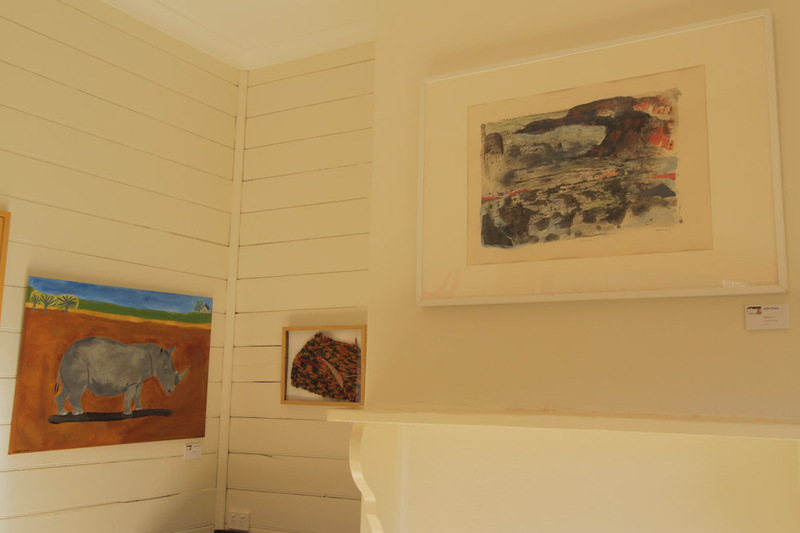 L-R, Tegwen Prest’s ‘Rhinoceros’, Saide Gray’s ‘Textured Landscape I’ and Julie Patey’s ‘Skyline’. 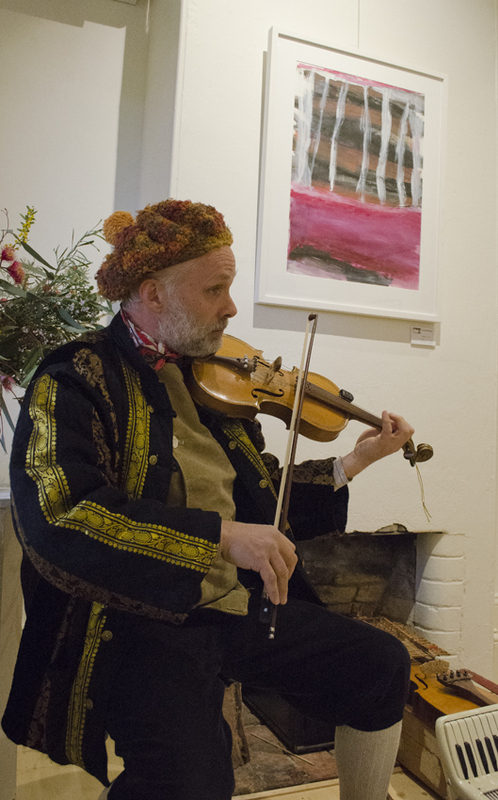 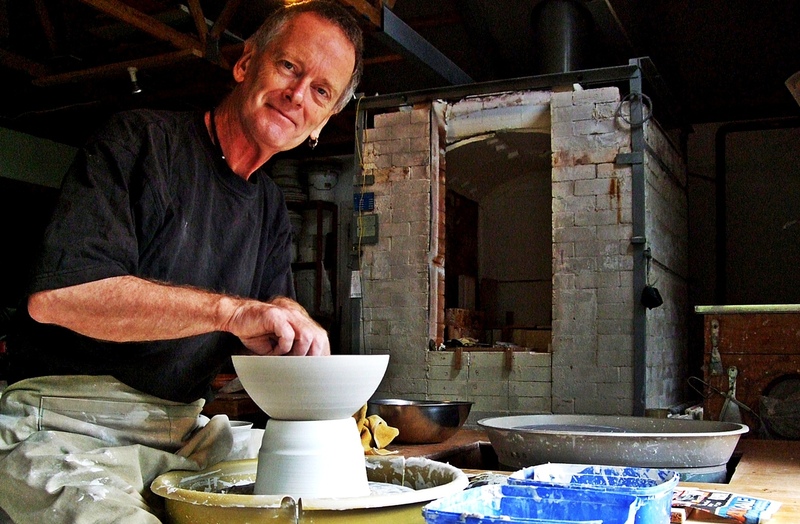 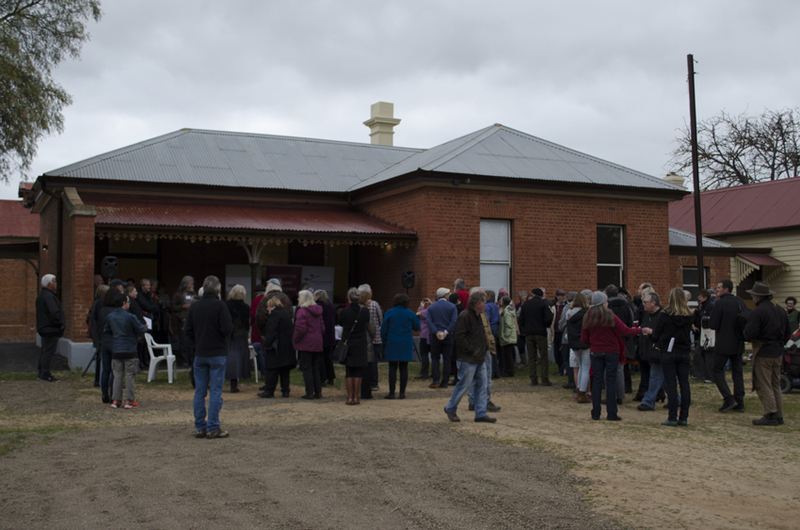 With much fanfare and celebration the Newstead Railway Arts Hub was officially opened on Saturday 29th August 2015. 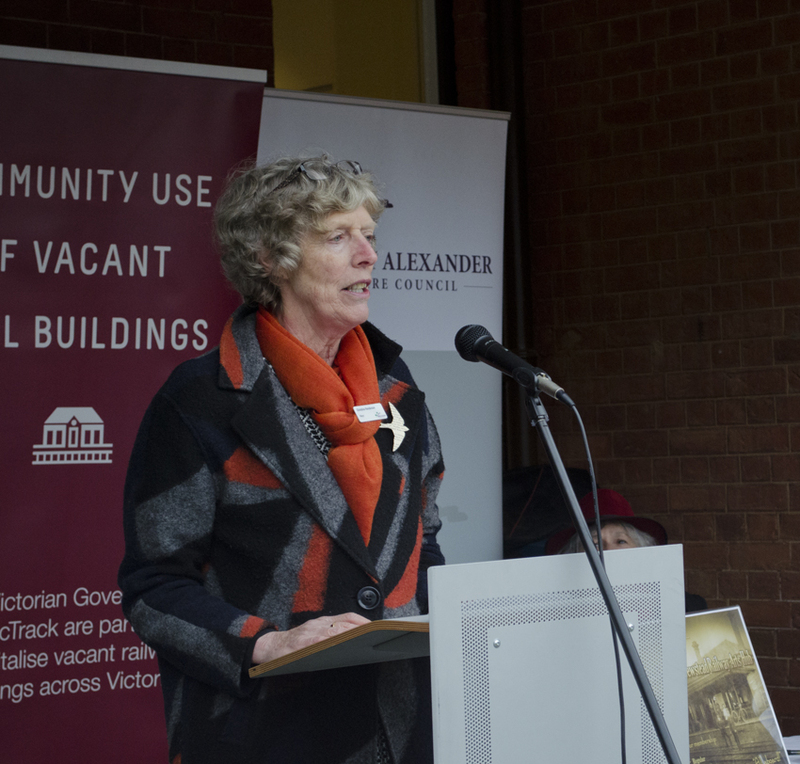 The $430,000 restoration of the old station building was funded through VicTrack’s Community Use of Vacant Buildings Program. 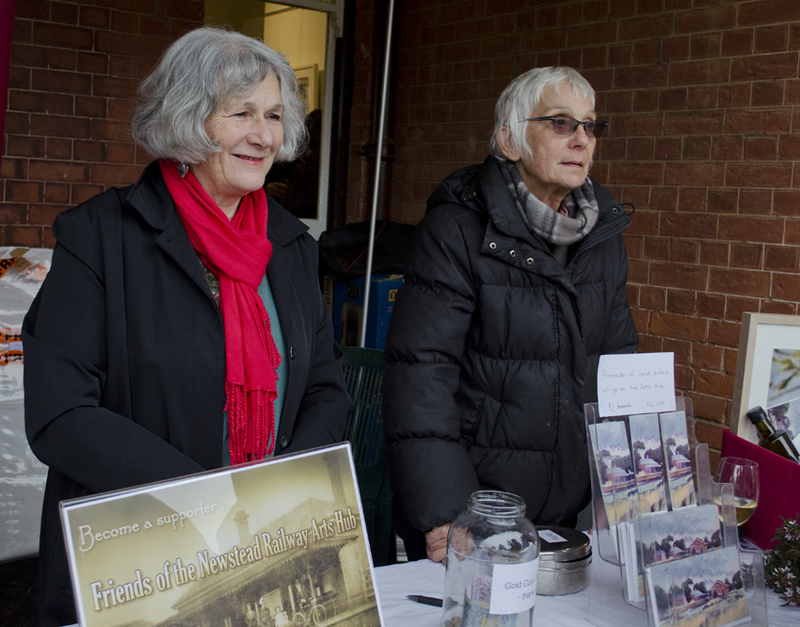 The project has been driven by Newstead 2021, in partnership with other local groups, the Friends of the Station and the Newstead Salon. 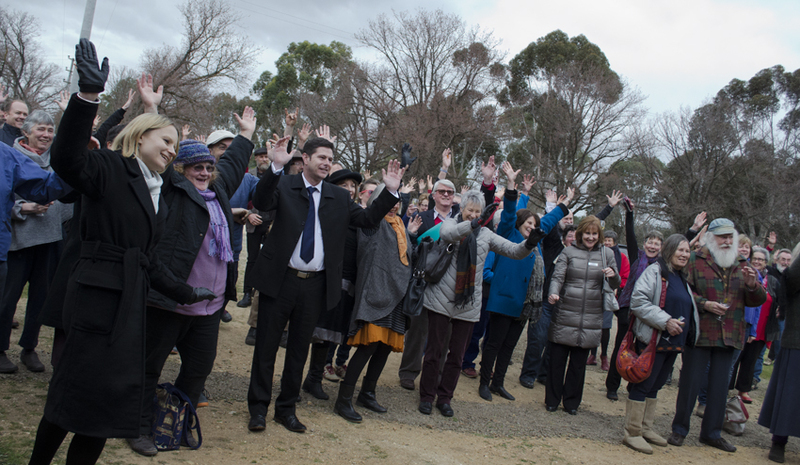 Special guests at the opening included Dja Dja Wurrung’s Ron Kerr Jnr, State Member Maree Edwards, Mount Alexander Shire Mayor Christine Henderson together with Councillors Michael Redden and Sharon Telford, VicTrack Director David Hunter, along with Karly Smith and Kate Tucker from the Maldon and District Community Bank. 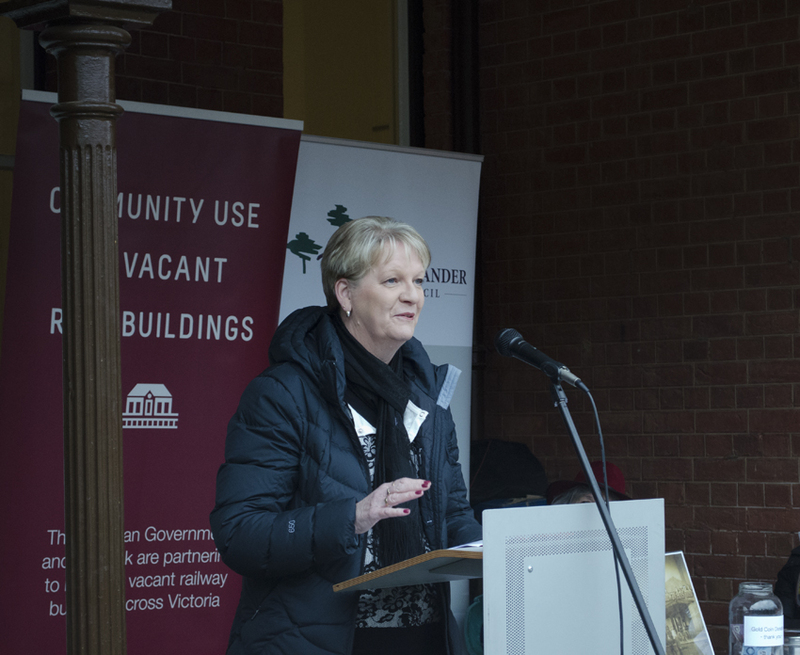 Speakers included MC Geoff Park, Ron Kerr who gave the Welcome to Country, Maree Edwards, David Hunter, Christine Henderson, Friends of the Station representative Janet Barker, and local artists Horse and Julie Patey. 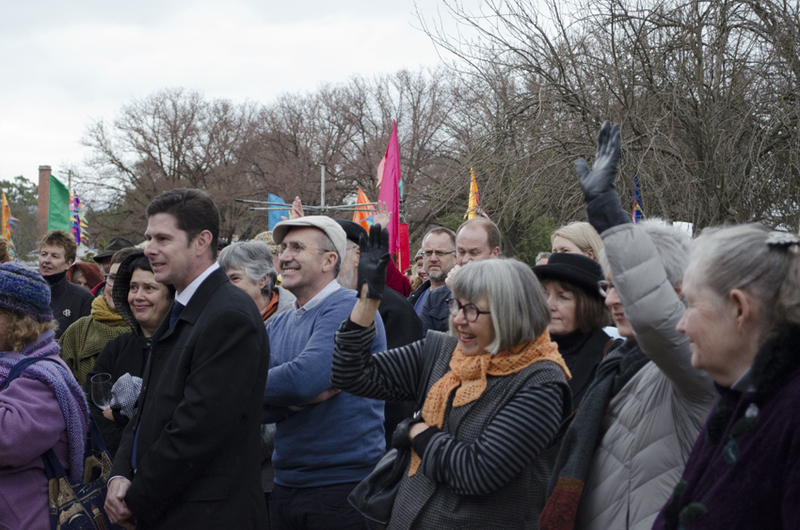 More than 200 people gathering for the official opening. 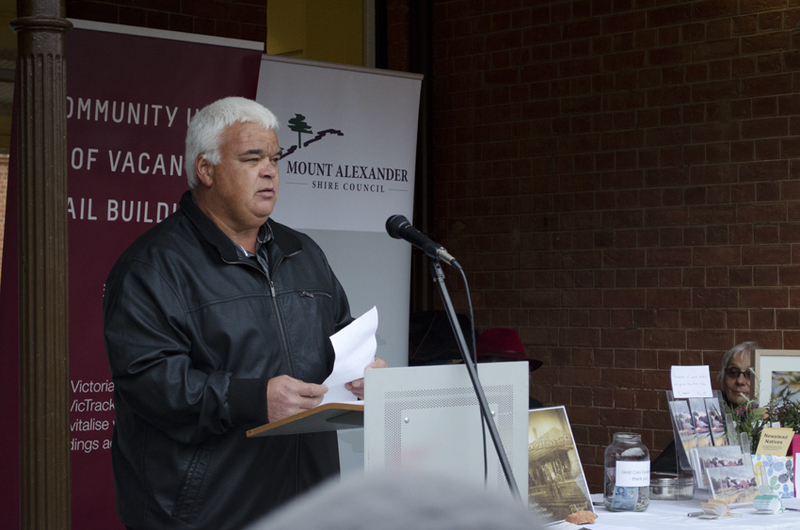 Ron Kerr Jnr conducted the Welcome to Country.